In celebration of the launch of the new edition of Prayer Energy, Mark will be presenting this popular and inspirational workshop. 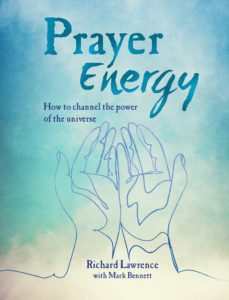 Discover the beauty, exhilaration and magic of successful prayer – which can help bring about peace, fulfilment, joy and enlightenment for yourself and others. Including more than 30 beautiful prayers to help inspire powerful, positive change. Mark is co-author of the award-winning title Gods, Guides and Guardian Angels and Prayer Energy, and has been practising mystic prayer for many years.